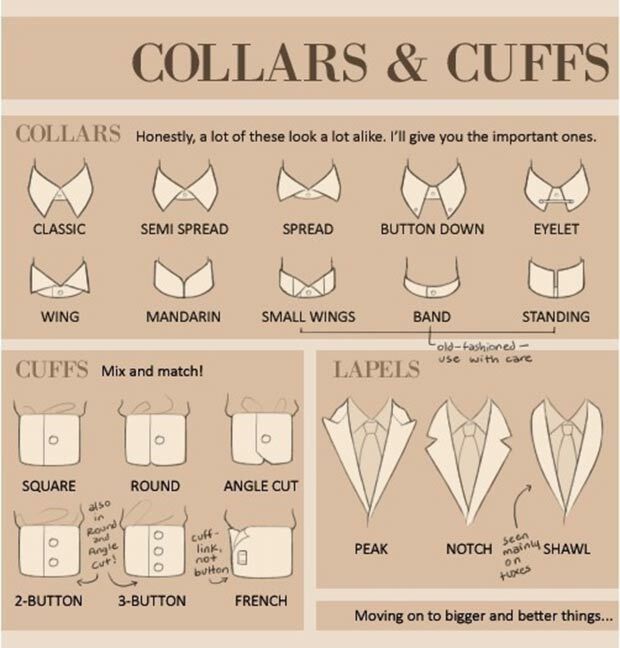 It’s the more traditional, your tips are not too long and the distance between them is small, making this type of collar is ideal for any type of suit. 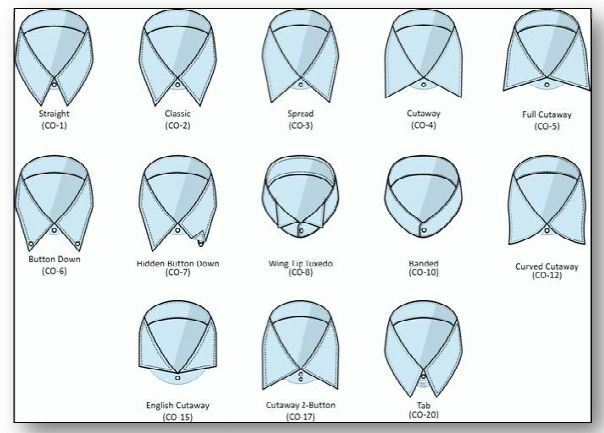 It is well, even with ties fine, using the simple knot by not having as much volume. 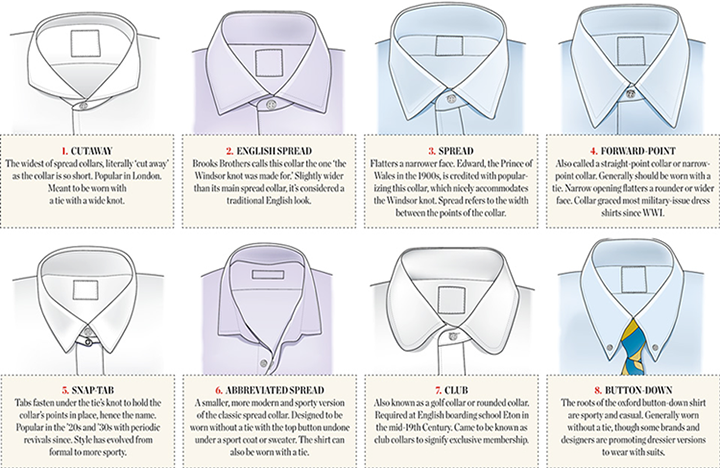 I think the collar Italian the easiest to identify, because its horns are short and wide open, encouraging us to tie more bulky like the Windsor or the Half Windsor. 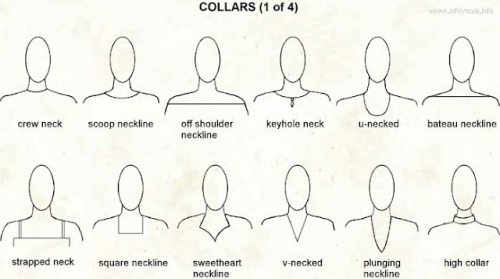 This type of collar looks best with dark suits. 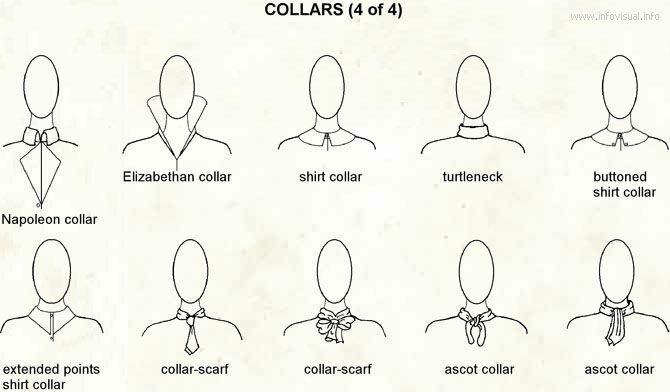 Its horns are long and closed, to keep track of the length you will need a node greater, but without much volume, such as the Half Windsor, some prefer this collar when not in use tie an outfit a little less formal. 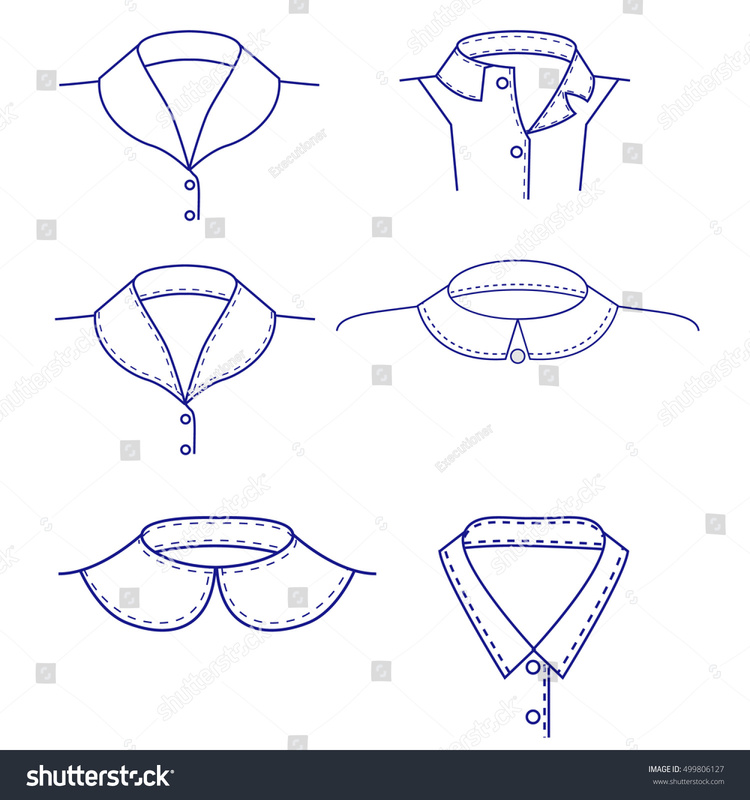 It goes well with suits cut more sequinho and men with round face, who has the face thin, should avoid. 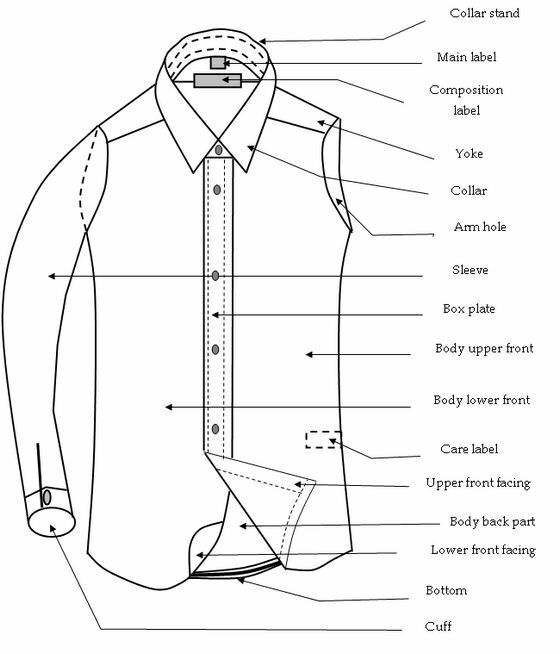 A little shorter than the English, more open and without button. 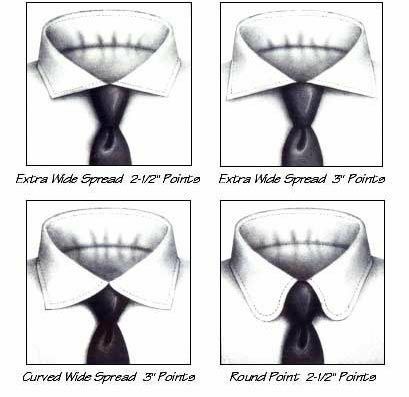 Goes great with the simple knot of the tie and jacket more sports, being suited for disguise faces thin and long, but it is the least restrictive, and looks good in almost all people. 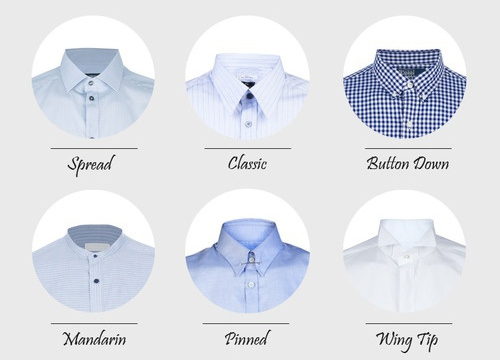 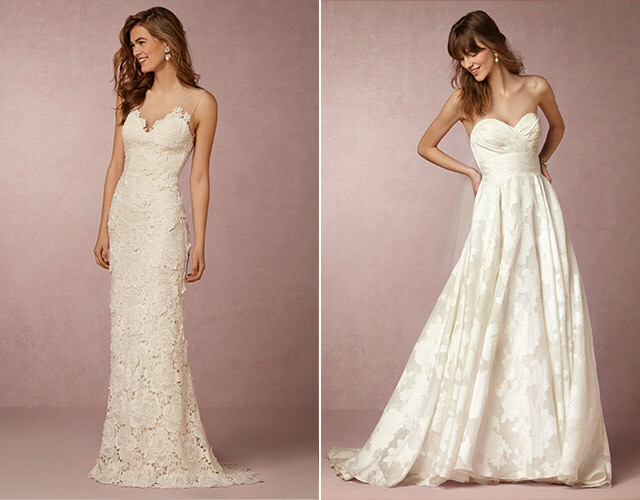 The most informal of all, it is easily recognized because of the buttons on your tips. 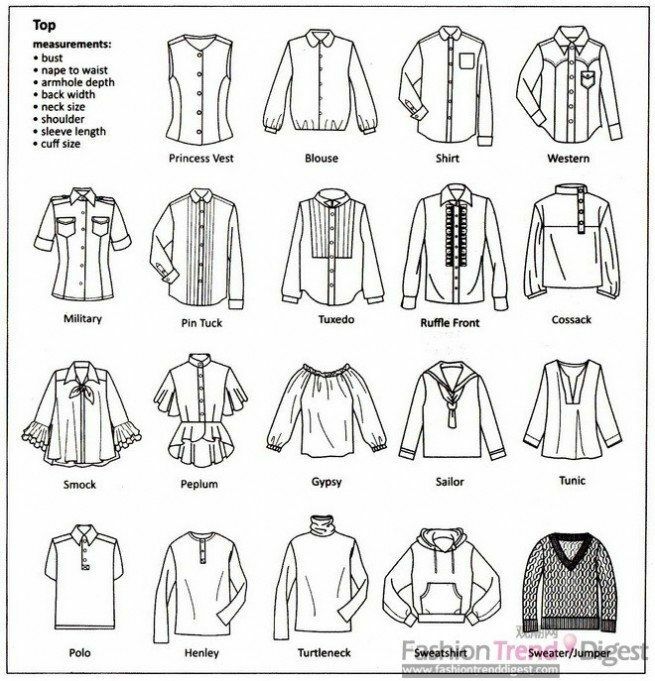 Ask us small and looks less formal, encouraging small faces. 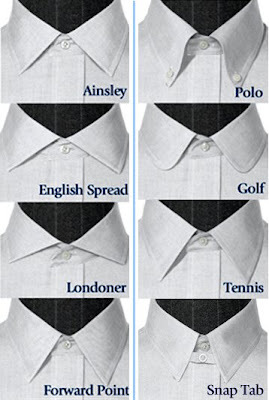 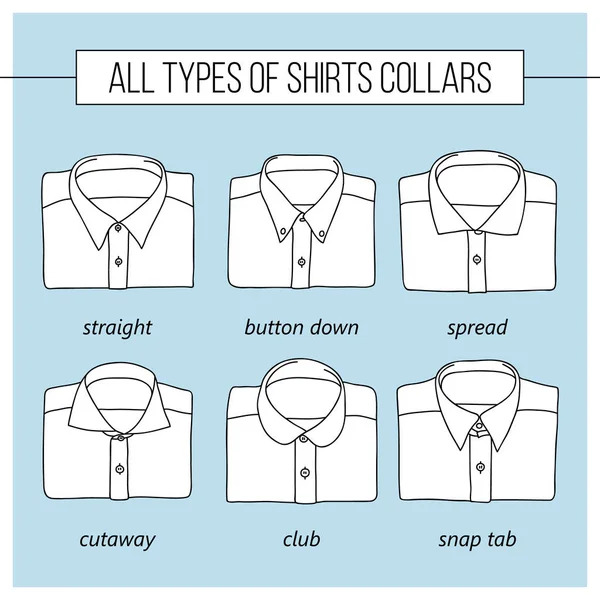 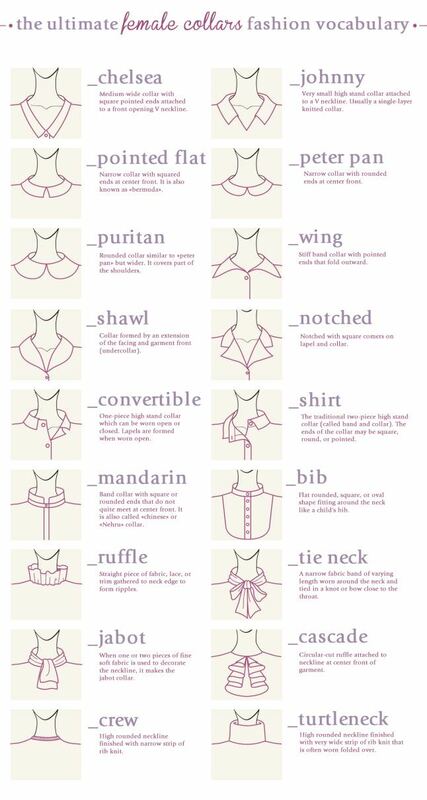 Note: outside of Brazil, the collar Italian is called English and vice-versa!